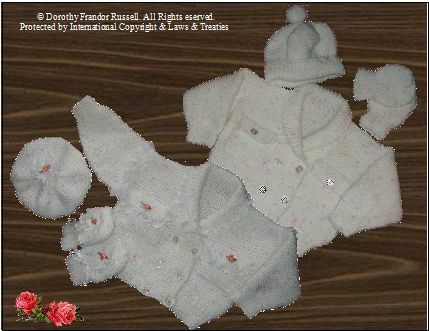 is a Pattern for constructing the garments illustrated in the photograph, not the completed items. 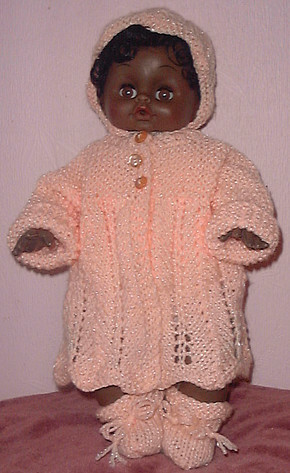 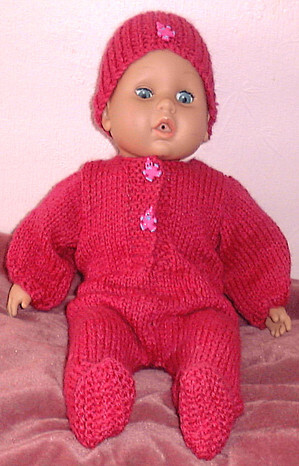 “Rosie 2” is one of a set of patterns for 16/18” baby dolls. 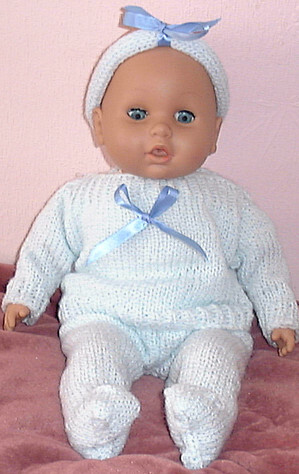 Pattern 5: Vest & Pants & Baby nest. 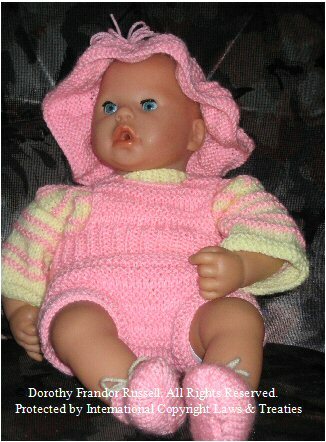 Each of the 5 patterns is sold separately.